Dr. Castellucci graduated from the University of Pretoria Dental School in South Africa in 1978 earning his B.Ch.D degree. He received the Ross – Barrowman award for the best student in prosthetics. He then spent two years as a dentist doing his national service in the South African army. He entered his post-doctoral residency in Periodontology at the Boston University School of Dental Medicine in 1980 and earned his C.A.G.S. and M.Sc.D. degree in 1983, and his D.M.D degree in 1984. His Master’s research thesis was based on the utilization of dentin as a bone grafting material. As a faculty member, he was Associate Clinical Professor in the post-doctoral Periodontology program at Boston University from 1984-1990. Dr. Castellucci is a member of the American Dental Association, American Academy of Periodontology, British General Dental Council and the Massachusetts Dental and Periodontal Societies. 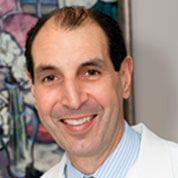 He is a past president of the Metrowest Dental Study Club, an affiliate of the Massachusetts Dental Society. He is co-founder of the Society for Advanced Clinical Dentistry and is involved in teaching locally and internationally. Dr. Castellucci is presently co-director of the Periodontal Associates study club, established in 1988, which provides continuing education for the local dental community. He has authored and published several research articles in a variety of scientific journals. Dr. Castellucci is married, has three children, and enjoys travel, soccer, running, gardening and cooking.